I remembered a few months back, J and I attended a series of classes on infant and toddler. I review the notes again and see how we have applied them in our parenting journey thus far. Inevitably, we still fall short in some areas, gain grounds in some and are working on some. Parenting is a process of trial and error. Dot is at this stage of development where she likes to exercise her will and sometimes we are engaged in this battle of wills. Learning to discipline her and teaching her about limits is a new area that we are learning as parents. 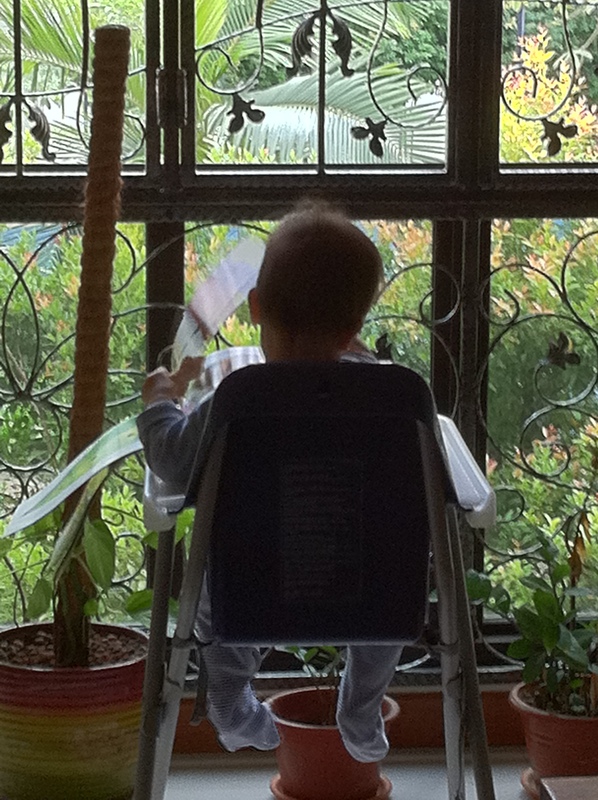 Currently, we are training Dot to sit quietly on her high chair facing the greenery outside every morning while flipping and reading her book, in hope of building self-control, patience, obedience, concentration and focus. 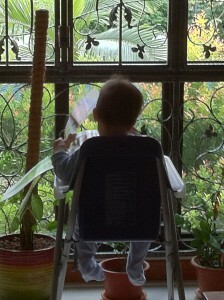 So far she can sit through for about 15 to 20 minutes, though not quietly throughout. Still exploring ways to teach and train her limits and self-control. Self-control could turn kids into successful adults according to research finds. How blessed is the little one whose parent prays,”Lord, open my eyes to ways of needed training that I have not seen; help me not to be blind to areas where I can be a better parent to my child”.